I will always remember how kind you were to me and Rico. I definitely could not have done it w/o you. Your genuine caring and dedication made everything a whole lot easier. "I would like to write a short note for my highest recommendation for Mike and Mike’s Pet Care. Mike has attended to my 2 dogs in the past 2 years. Most recently, a tragic event occurred at my home in Talega and my family was forced to move out of my home immediately. I called Mike and he was there to assist with my dogs with no notice. My dog sitting situation changed every day and Mike has been extremely flexible so he could take care of my 2 dogs, who are like our kids. He used discretion and professionalism throughout this entire event. I trust Mike 100% and give him my highest recommendation. If you want your dog taken care of with no worries, call Mike". "Mike’s motto of 'quality in-home medical pet care with a personal touch' is exactly what we received from him when our 14 year-old Doberman, Nikki, became ill shortly before our scheduled family vacation. Nikki’s appetite had significantly diminished and thoughts of cancelling our plans were definitely being considered until a friend recommended we call Mike’s Pet Care. With less than a day’s notice, Mike made himself available to stay in our home for the next week. A day after we left, Nikki had taken a turn for the worse and as a result of Mike’s astute assessment, it was determined she had a G.I. bleed. Fortunately for us, Mike had an established rapport with our vet, and between the two of them a course of care was established that required intensive treatment of IV fluids and numerous types of medications to be administered. In addition to that, much of his time was spent slowly introducing her to special home-cooked meals. Mike’s experience as a vet tech made all of this treatment possible to be done in our home. As a nurse, I was extremely impressed not only with Mike’s vast knowledge and experience in the area of veterinary care, but also with his quick assessment and response to our pet’s emergent situation. Over the course of the next few days, the care, treatment, and TLC that Mike gave to Nikki was instrumental in her rapid recovery. As a result of this special care Mike provided to Nikki, she emerged from our expectations of having to be put down, to actually greeting us at the door when we arrived home. Mike’s passion for animals is not only reflected in the quality of care he gives, but also in the support he provides to the family. He continues to show his concern by following up on the progress of Nikki. We are extremely grateful for the excellent care Mike provided for Nikki and will not only continue to have Mike care for our pets in the future, but highly recommend him for anyone who prefers the best quality of care for their pets." "We are beyond thankful and fortunate to have met Mike. We had a long scheduled, out of state family reunion to attend as our 12 year old Lab began to really show signs of his age. Othello had recently developed pneumonia & mega esophagus on top of already experiencing laryngeal paralysis. This added up to one sick dog and we almost cancelled our trip. Upon recommendation, we contacted Mike. Mike was able to stay overnight with Othello and administer multiple medications in various forms that even we had struggled with. He also developed a successful feeding regimen that ensured Othello was able to swallow and digest his food. And then to top it all off, he stayed up with Othello when his coughing needed attention. Mike contacted us with regular updates and even made changes in O’s regimen that improved his comfort. With Mike’s experience as a Veterinary Technician, we learned new and improved ways to take care of our beloved pet that even our vet had not considered. Our experience with Mike’s Pet Care has been outstanding and we continue to recommend him. " "Thanks to Mike’s support, I was able to spend four weeks traveling without worrying about the health of my aging cat. Instead I was able relax, enjoy my trip and know she was in good hands. Mike acted as an advisor checking on my cat consulting with the vet and advising my neighbor what specific care my cat required. Mike even emailed me in Italy to keep me posted on my cat’s health. I highly recommend pet owners who love their pets turn to Mike for care and pet sitting. His knowledge, commitment, and willingness to offer support go well beyond what most pet sitters can offer. Sincerely,"
"As all pet owners know, having a pet can be trying and emotional during times of illness or injury. Having Mike Russell on our team has made it so much easier! I first met Mike a little over 2 years ago when my yellow lab, Maggie, was battling auto immune hemolytic anemia. He was the lead vet tech on her case, at the time, and quickly became a friend as well. After interacting with Mike for 2 weeks and learning an incredible amount from him, I realized he had so much more to offer! This is why I am so happy in his choice to start Mikes Pet Care! Mike is extremely knowledgeable in his field, and like most educators, is always willing to look for resources when he is unsure. The newest addition to my family is a black lab named Paddy. As most lab owners are aware labs can make crazy puppies. Mike has been a support through possible poisoning due to the cyanide in the pit of a peach, a bee sting to the face, a shoulder injury, and the many various ailments that puppies go through, that can make a “mom” worried! Our most recent pet drama was surrounding our Basset Hound, Riley, and his recent bout with cancer. When we arrived home on father’s day and noted that Riley’s stomach looked bloated. We did what we always do and called Mike. Mike was the one that urged us to get him to the vet immediately! We did and Riley had a 7 lb tumor and his spleen removed the next day. Mike certainly saved Riley’s life, as we, not understanding how emergent this was, might have waited to take him in until the next day when our regular vet was available. This could have had dire consequences! Since that day, Mike has shared his wealth of knowledge, as we went through the post operation instructions and the results from the biopsy. I can’t find the words to explain how Mike eases your mind while providing the education you need to deal with the situation. One of the resources Mike shared with us that I feel I should mention is Kim Rockshaw, http://www.kimrockshaw.com/ , a homeopath that works with treating animals as well as humans. We plan to work with her to keep Riley cancer free! All that said, Mike is the sort of guy you want on your team when caring for your pet! He is a true blessing to our pets and family!" "I highly recommend Mike’s pet care. Mike came to our home every day to administer an IV fluid drip and special shots for our cat, Squeaker, for 6 months. It helped Squeaker feel much better for a longer period of time, and she spent many happy hours in the sun because she was able to receive the daily treatments. My husband and I both work long hours, and with our work schedules it would not have been possible to take her to the vet 7 days a week for 6 months! It also would have been much more stressful for Squeaker if she had needed to go to the vet’s office every day. We gave Mike a key, and he let himself in and out. Squeaker liked Mike and would often	walk up to him. (Squeaker would hide from people she didn’t like, so we know that she liked Mike.) Mike also helped us by alerting us to changes in Squeaker’s condition (he would notice she wasn’t as alert, for example, and then we would take her to the vet and change her medication). Also in visiting our home he saw that another cat had developed a cyst on her lip, which we hadn’t noticed, and recommended a vet’s visit for her. As much as we loved Squeaker, I don’t think we could have kept her for so long – or kept her feeling as good as she did – without Mike’s help. He was a valuable resource for us, and his medical/technical expertise is not something that our “regular” catsitter could have provided. I highly recommend Mike and his services, and would be happy to speak personally with anyone who would like to know more. " "We were fortunate to have Mike work with us when we brought our dog Maxx home from a 2 week stay at the hospital following disk surgery. Mike was recommended to us by our vet. After the first conversation with Mike it was clear to see he has a passion for animals. He asked many questions about Maxx's situation and made himself available that afternoon to express Maxx's bladder, check his vitals and address concerns we had. Mike made some very valuable recommendations on how we could assist Maxx in his recovery that were echoed by the doctor. Although Mike could have continued to be solely responsible for expressing Maxx's bladder, he took the time to teach us how to do the procedure on our own. Mike continues to call and check on how we are doing with the "expression" process and to see how Maxx is coming along, especially the hydra therapy that Maxx is currently engaged in. We very much appreciate the care that Mike extends to Maxx and to us. We would recommend Mike to anyone who needs home assistance with their 'fur person'. " Charles and Roberta Lowe /	San Clemente, Ca. "Mike has really made treating our pets very easy. It was very convenient having him come over to our house weekly to administer penicillin injections to our rabbit. He was very knowledgeable and took great care to help our pet to a full recovery. I would highly recommend Mike’s Pet Care for its unique services that it provides for the customer." "How much would you pay for piece of mind for the care an attention of your dearest loved one when you are away or if they are in need? If you ask me, as much as it takes. Mike is not only a first class vet tech, but also offers sitting services for your best buddies. He and his mobile service make us feel at ease that our 14+ year old Golden retriever Cody Bear, is well tended to. 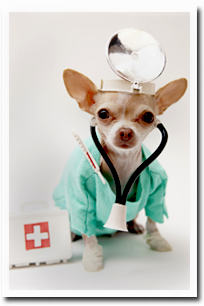 He is a fully qualified vet tech, has worked with and for our trusted vet of many years and is local. No matter what if you are in the south county area Mike is the guy for your pet’s occasional health care and if you need it "intensive care" type sitting. Thanks to Mike, Lisa and I had a relaxing vacation, knowing that our baby Bear was well cared for and loved. I called Mikes Pet care when some last minute plans came up and I had to be out of state. Mikes prices to take care of my cat were very reasonable and he took time out of his busy schedule to do a 6 day job for me. Mikes Pet Care is a BOON to the residents of San Clemente as well as other local beach communities. His services are professional as well as personal and I look forward to utilizing his services again! Thanks Mike!" "Dear Mike I would like to thank you so much for looking after our dog	Coney, and for all the great advise you have given me whilst Coney was recovering from his operation. I had a better understanding from you than I received from the vets!!! We are very lucky to have such a great person like you to help us and I would like to recommend your professional advice and services to other pet owners. I think it is essential to have a professional looking after our pet dog, because of how important Coney is to us all. Your fees where very affordable for the service, trust and confidence whilst looking after our dog. Thanks for your brilliant services. Best Regards "
“Two weeks ago, our family went through a difficult ordeal with our cat, Piper. She ingested a long string and had to have major surgery to have it removed. Then, during surgery, Piper went into heart failure and nearly lost her life. Since this little cat is part of our family, it was a scary and stressful time for all of us. Piper pulled through her surgery, but needed a lot of extra medical care. She came home after six nights in Critical Care with a stomach tube through which she needed to be fed 4 – 6 times daily and about 8 different medications to keep her recovering. To make matters worse, my husband and I had scheduled a trip to the East coast less than a week after she came home. I was on the brink of canceling our trip when my sister in law mentioned a friend named Mike who owned Mike’s Pet Care. She shared with me what he did, and I called him right away to see if he could help us care for Piper. "Trying to find someone who is not only knowledgeable but sympathetic in the same breath is a task when your pet is under the weather. But once you've encountered Mike, he has both characteristics and then some. He is incredibly kind, compassionate, timely, well versed on animals and always pleasant. He is willing to spend time chatting without running out the door and he is always quick to reassure the panicked pet owner that everything is going to be ok. He is a true gem and pets, as well as pet owners, are lucky to have him in their home."